Glenmalure Youth Hostel in Co. Wicklow recently had cause for celebration when it saw the engagement of a young Polish couple take place within its walls. 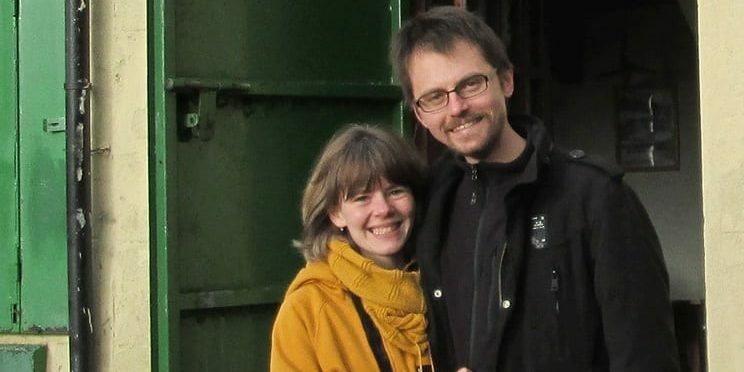 Ania travelled all the way to Ireland from Gdańsk in Poland to meet her partner of 3-years, Adam, to spend some quality time together when the couple decided to go on a romantic weekend getaway to the youth hostel. Little did she know what he had in store for her. “I knew it would happen sometime, but I didn’t expect him to propose during this trip. We often leave to go somewhere for the weekend. But when Adam disappeared and came back with a ring in his pocket, I suddenly realised what he was going to do. I admit that I had tears in my eyes although I didn’t cry. I was very sure what my answer would be,” Ania said. Ania and Adam have been together for the past 3-years ever since being introduced to one another by mutual friends. Adam moved to Dublin in 2009, and although Ania still lives in Poland, they see each other as often as possible with Ania planning on moving to Dublin by the end of the year. Adam chose Glenmalure Hostel as the place he wanted to propose because it has special meaning to him. “I’m actually a member of the An Óige Hillwalkers Club so the first time I stayed in Glenmalure was as part of my navigation training for the Hillwalkers. We trained on Saturday and Sunday so I slept at Glenmalure rather than drive back to Dublin. I fell in love with the place straightaway. We both love hiking so I couldn’t think of a better or more appropriate place to do it,” Adam explained. Adam’s decision to propose in Glenmalure went down very well with Ania who now better understands her new fiancés love for the hostel. The beautiful scenery of Glenmalure Valley. “Adam had already been to Glenmalure and he was sure I would like it. Glenmalure is an amazing place with a soul, with so many stories, yet cosy so that you feel at home. When the lights are out and the candles are standing in every corner, Glenmalure becomes a very romantic place,” she revealed. Currently, Ania and Adam have no date in mind for their wedding and are just enjoying life as a newly engaged couple. “I never planned or told anyone how my engagement should be like, but it was subconsciously obvious to me that a trip to the mountains was the perfect idea. You have to trust someone with whom you’re going to the mountains or boglands. A bit like a marriage really,” Ania added.